Sacred Heart of Jesus Parish is committed to passing on the Truth of Jesus Christ as preserved in the Holy Catholic Church. This Truth was recorded in the Old Testament, fully revealed in the Incarnate Word of God – Jesus Christ and passed on infallibly by the Apostles and their successors through Scripture and tradition. This is the Faith that we strive to teach the children of Sacred Heart Parish. 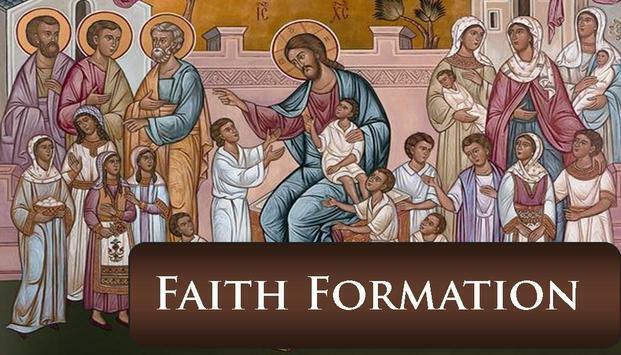 Below please find the schedule and other information on our Faith Formation program for 1st through 8th grade. First through third grade must be picked up in the classroom by a parent or guardian. Fourth through eighth grade will be dismissed into the parish hall. 5 – First Communion for 3rd Grade at 11:00 am Mass. Bless us, O Lord, for these Thy gifts, which we are about to receive from Thy bounty. Through Christ our Lord. Amen. 2. You shall not take the Lord’s Name in vain.